WASHINGTON --- The U.S. Naval Research Laboratory (NRL) with funding from SwampWorks at the Office of Naval Research (ONR) and the Department of Defense Rapid Reaction Technology Office (DoD/RRTO) demonstrated the launch of an all-electric, fuel cell-powered, unmanned aerial system (UAS) from a submerged submarine. From concept to fleet demonstration, this idea took less than six years to produce results at significant cost savings when compared to traditional programs often taking decades to produce results. "Developing disruptive technologies and quickly getting them into the hands of our sailors is what our SwampWorks program is all about," said Craig A. Hughes, Acting Director of Innovation at ONR. "This demonstration really underpins ONR's dedication and ability to address emerging fleet priorities." 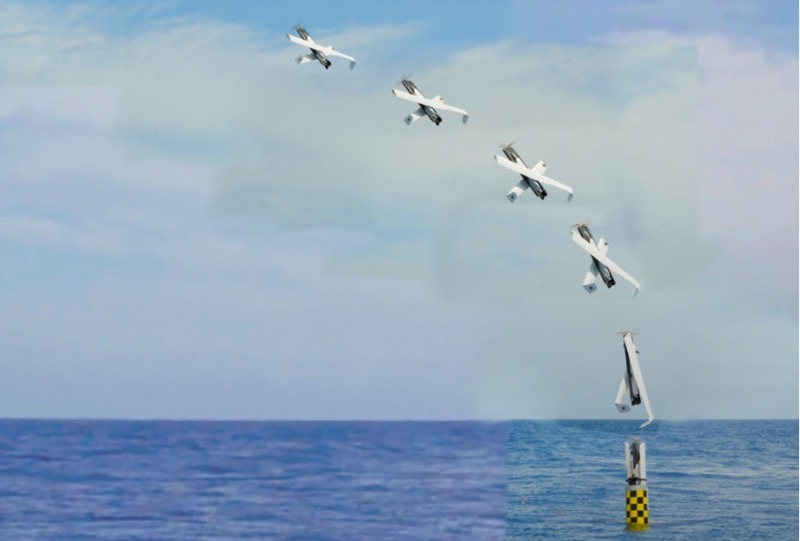 The successful submerged launch of a remotely deployed UAS offers a pathway to providing mission critical intelligence, surveillance and reconnaissance (ISR) capabilities to the U.S. Navy's submarine force. Operating under support of the Los Angeles class submarine USS Providence (SSN 719) and the Naval Undersea Warfare Center-Newport Division (NUWC-NPT), the NRL developed XFC UAS - eXperimental Fuel Cell Unmanned Aerial System - was fired from the submarine's torpedo tube using a 'Sea Robin' launch vehicle system. The Sea Robin launch system was designed to fit within an empty Tomahawk launch canister (TLC) used for launching Tomahawk cruise missiles already familiar to submarine sailors. Once deployed from the TLC, the Sea Robin launch vehicle with integrated XFC rose to the ocean surface where it appeared as a spar buoy. Upon command of Providence Commanding Officer, the XFC then vertically launched from Sea Robin and flew a successful several hour mission demonstrating live video capabilities streamed back to Providence, surface support vessels and Norfolk before landing at the Naval Sea Systems Command Atlantic Undersea Test and Evaluation Center (AUTEC), Andros, Bahamas. The NRL Chemistry and Tactical Electronic Warfare Divisions team includes the design-builder of the Sea Robin, Oceaneering International Inc., Hanover, Md. ; the fuel cell developer Protonex Technology Corp., Southborough, Mass. ; and NUWC-NPT’s Autonomous and Defensive Systems Department for Temporary Alteration (TEMPALT) and test demonstration support. The XFC is a fully autonomous, all electric fuel cell powered folding wing UAS with an endurance of greater than six hours. The non-hybridized power plant supports the propulsion system and payload for a flight endurance that enables relatively low cost, low altitude, ISR missions. The XFC UAS uses an electrically assisted take off system which lifts the plane vertically out of its container and therefore, enables a very small footprint launch such as from a pickup truck or small surface vessel. The Naval Research Laboratory is the Navy's full-spectrum corporate laboratory, conducting a broadly based multidisciplinary program of scientific research and advanced technological development. The Laboratory, with a total complement of nearly 2,500 personnel, is located in southwest Washington, D.C., with other major sites at the Stennis Space Center, Miss., and Monterey, Calif.